Ever wonder what activities Ridgefield students participate in when they are in PE class? 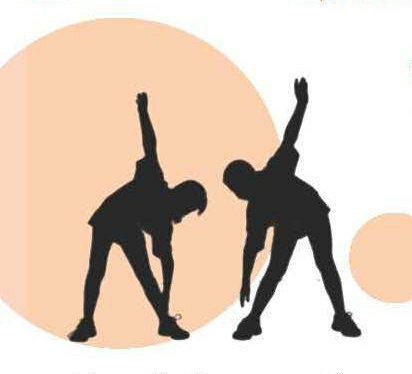 Come to the “PE Showcase – Shape Up!” event on Tuesday afternoon, May 23rd and find out. 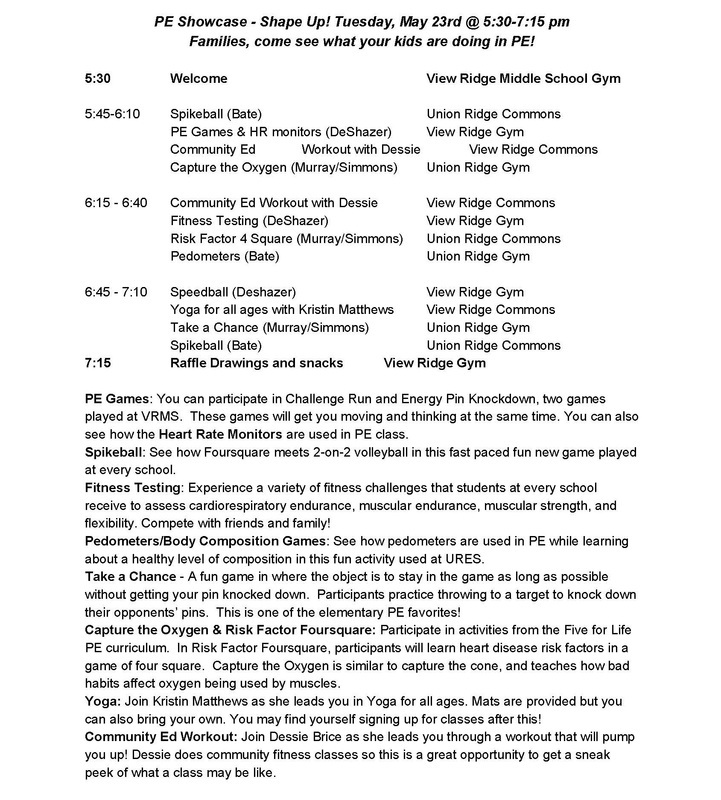 The event starts at View Ridge Middle School Gym at 5:30 pm, and a variety of activities are scheduled there and at Union Ridge Commons starting at 5:45 pm. See the detailed schedule below. Participate in a Challenge Run and Energy Pin Knockdown, play spikeball, play speedball, or experience fitness challenges that test your endurance, strength and flexibility. Join a yoga class, participate in a circuit training workout or challenge your student to a contest doing push-ups. Find out how heart rate monitors work or learn how pedometers are used -- while taking part in games and activities. Snacks will be provided throughout the event. Athletic wear is recommended. The showcase wraps up with a raffle drawing for prizes at View Ridge Middle School Gym.